If you are looking for a new smartphone then there are many things that you need to consider, particularly for a top of the range handset such as the iPhone. The good news is that the iPhone is a good handset. The bad news is that there are a few different variations on it which you will need to consider before you make your final purchase. There are different variations of the iPhone so it can be confusing. 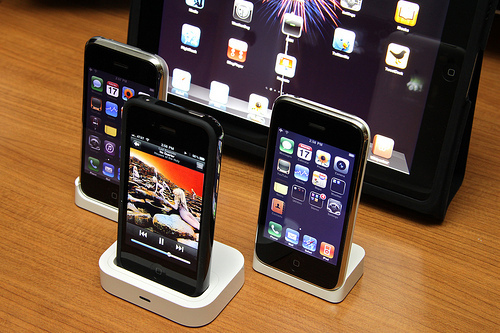 The latest is the iPhone 5 but there is still the iPhone 4S and the iPhone 4 on the market. Obviously the latest version is going to carry the higher price tag and will have a number of upgrades that will not feature on the older models. If the budget is a little tight then the older models may be worth considering. The colour of the handset is often a minor point for most users but there are some for whom it carries real importance. iPhones come in black & slate and white & silver. It has to be said that this comes down to personal preference so do not be put off by the views of others. Now we come to an important factor – storage size. This is becoming something major for most smartphone users and while many other handsets have the option to expand storage, the iPhone does not. It depends a great deal on how much you want to keep on the phone. Do you like to keep the bulk of your music collection to hand? Or do you intend to use the handset to take lots of photos? If the answer to either of these questions is yes then you need an iPhone with more storage. The most available is 64GB which is almost double that of its top rivals. You can also opt for a handset with storage options of 16GB and 32GB, so if you feel you can get by with less then do so as this will also save you a little money on the handset. You also need to consider the mobile phone provider that you are using. Contracts on the iPhone are among the most expensive but they do vary and you will need to shop around a little. Remember that you are the customer and if you do not like the sound of one contract you can go and find another providing you have not already committed to one. Read a few reviews on their customer service and make sure that you feel you will be getting the support you need from them, after all, you will be paying them a lot of money. You should also take the opportunity to find out more about what the iPhone is capable of before you make up your mind to buy. Find out more about the apps that are available and see if what you want from the phone can be delivered. The apps for the iPhone are growing in number all the time so finding what you need should not be a problem. Phil Turner is looking for an iphone, cheap. Cost is definitely an issue for him.